ALAMEDA, Calif. -- More than 30 birds have been rescued after an oil spill last week in San Francisco Bay, and many of other dead ones have been found, officials said Monday. Cleanup crews continue to work in several areas affected by Friday's spill from the Dubai Star, while wildlife experts are trying to capture any animals impacted by the spill. 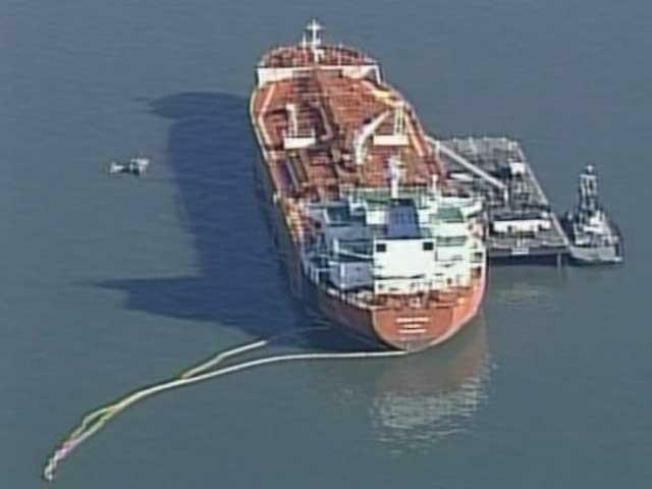 Officials estimate hundreds of gallons of oil spilled southeast of the San Francisco-Oakland Bay Bridge. Wildlife recovery specialists have recovered 36 live birds affected by the oil and 11 dead oiled birds since Friday, the Coast Guard said. Two of the 36 live birds died during treatment at the San Francisco Bay Oiled Wildlife Care and Education Center in Cordelia. In Alameda, Robert Crown Memorial State Beach, Ballena Bay and Bay Farm Island continue to be the focus of cleanup efforts. Crews are about 80 percent done with cleanup efforts at Crown Memorial Beach. Crown Memorial Beach remains the only shoreline area closed as a result of the spill. Information on the closure can be found at www.ebparks.com or by calling 1-888-EBPARKS. Aerial and waterside assessments of the area are being conducted to determine the cleanup progress at Ballena Bay and Bay Farm Island. Four assessment and reconnaissance teams are out looking for other areas affected by the spill, but no other affected areas have been reported. Fisheries are still suspended from the San Mateo Bridge to the San Francisco Bay Bridge. State officials are evaluating the need to continue that suspension. Anyone may report affected wildlife to 1-877-823-6926.